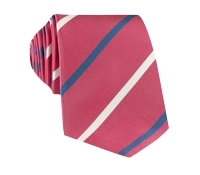 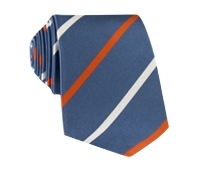 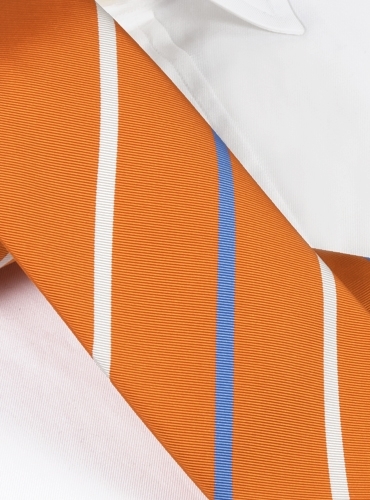 Mogador double striped neckties have the crispness of silk and the rich vibrancy of their cotton warp. 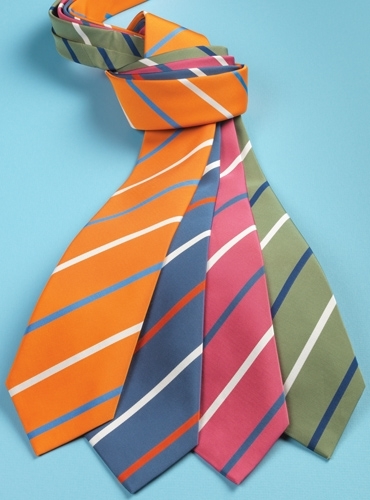 Shown in four color ways: A-tangerine with sky; B-marine with tangerine; C-azalea with marine; D-olive with marine. 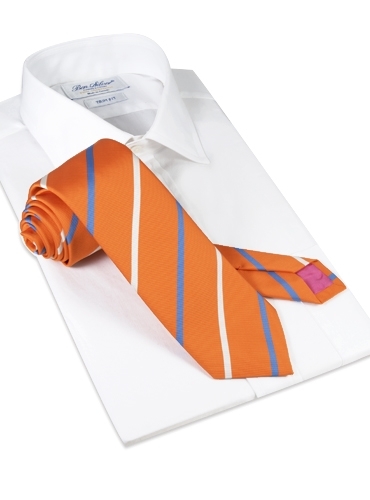 Shown here in A-tangerine with sky. 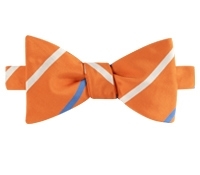 Also available as a bow tie, BW252.